Melt milk chocolate candy coating wafers according to package instructions. Place a small circle of melted candy coating on parchment paper (about the size of a quarter). 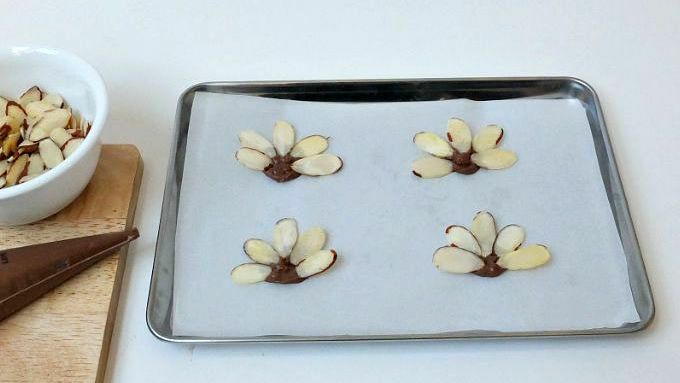 Press 5 sliced almonds in the melted chocolate circle in a fan shape for the turkey feathers. While the candy coating is still soft, but not hot, place a milk chocolate truffle in the middle of the circle. Let set completely. 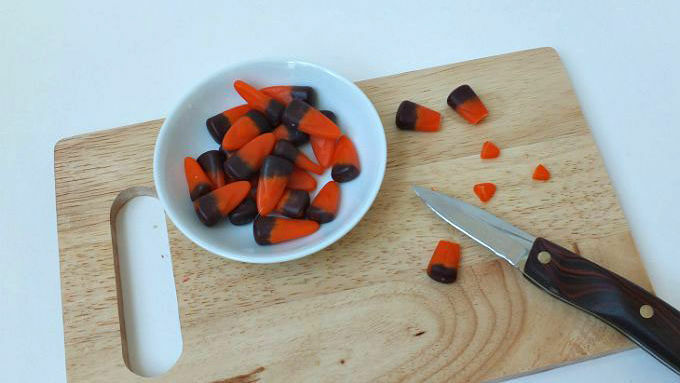 Cut the tip off of the autumn candy corn. Dip cut end of candy corn into the remaining melted candy coating and attach to the middle of the truffle for the beak. 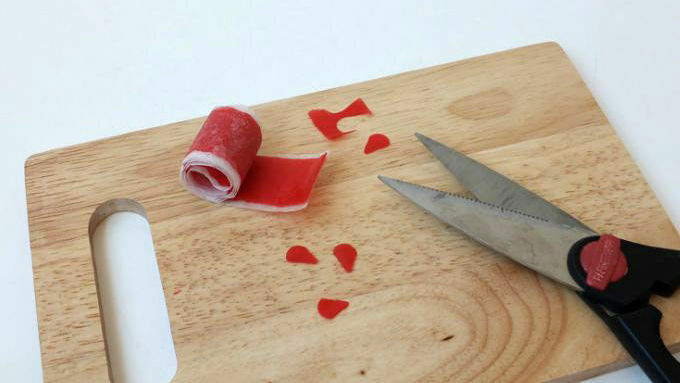 Using kitchen shears, cut a small teardrop shape out of the Betty Crocker™ Fruit by the Foot™ for the turkey’s wattle. Attach under the beak with melted candy coating. Add 2 dots with a black edible marker for eyes. When you think Thanksgiving foods, there’s turkey, dressing, mashed potatoes and gravy, green beans, cranberry sauce, pumpkin pie, sweet potato pie, apple pie… Where’s the chocolate? I know, so much food—but you gotta have chocolate, right? 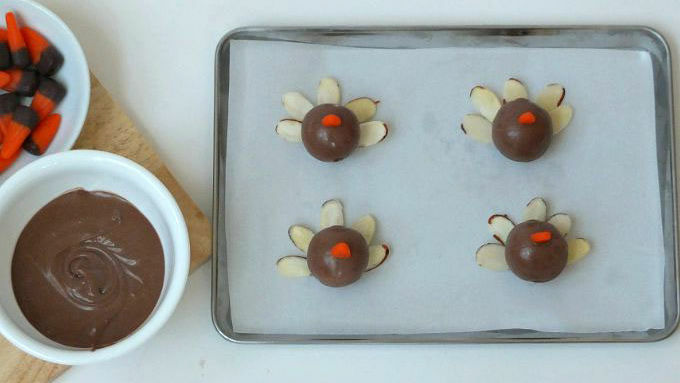 Here’s a way to dress up some store-bought truffles for Thanksgiving. 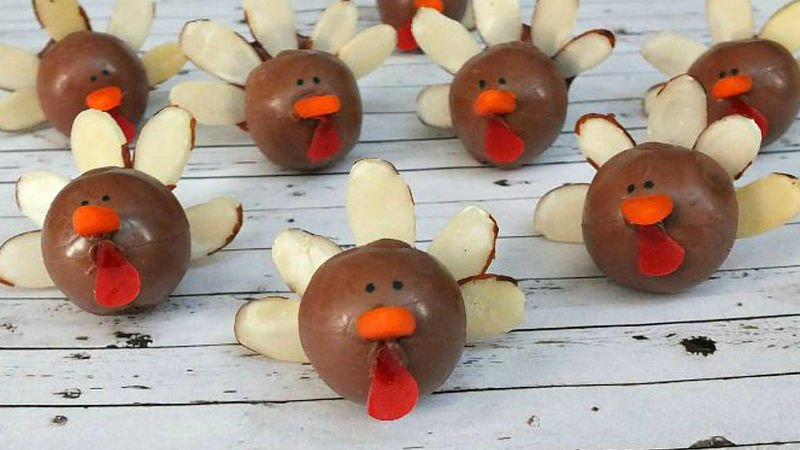 These pudgy little turkey truffles are super easy to make and so freakin’ adorable! Set one on each plate for your guests or make up a whole tray of turkeys! Here’s what you’ll need: milk chocolate truffles, autumn candy corn, sliced almonds, milk chocolate candy coating wafers, a black edible marker and a strawberry Fruit by the Foot™. 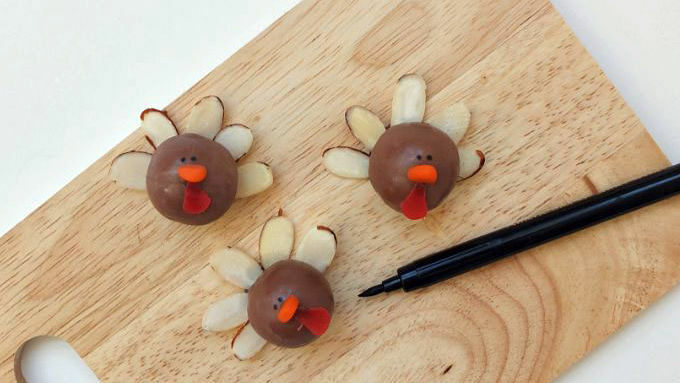 Assemble and you'll have sweet turkeys that are almost too cute to gobble!